@Susie Crowe: Add that the radar at the Indian air force base at Car Nicobar seemed to have shut for the night-after all, Indonesia is not expected to launch a sneak attack on India. 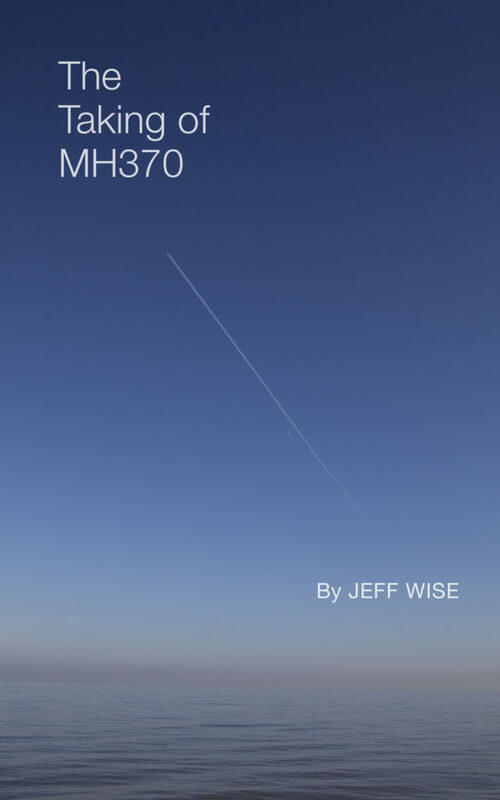 If it had been functioning we would have a slightly better idea of where MH 370 went. However, interceptors are not stationed there and only a helicopter unit is usually present. I return to my previous point about thorough analysis of simulator data and not cherry picking information to “prove” a particular theory. Another area of the simulator which needs examination is the hardware.Key mapping in FS9 gives the option to reverse items such as yokes, joysticks & throttle quadrants so how these items were set up in FS9 is important.The data values may also be different depending on associated software. My own CH throttle quadrant had complex software to enable compatability & I’m not sure how it changed the key mapping. It’s also been brought to my attention that the coms do have relevance. Both points RMP 4 & 5 have a transponder value of 1200 which idicates 1. That it WASN’T switched off 2. It is the standard conspicuity VFR code for North America suggesting FS9 default. The coms frequencies will require hours of work to determine which VOR’s and ATC units were set up for active and standby use at each RMP point. IF at each point they match the local situation it’ll be more than an assumption that there was intent to remain visible and communicate.I have much else to do in my life but an interesting project for anybody who wants to go through AIP’s checking nav & coms. RMP3 (the point near DOTEN at which it was turning) also shows transponder on & squawking 1200. Note that it’s on AFTER turn had commenced not before. The frequencies of RMP3 are particularly relevant because because active & standby nav may show intent for next point as should ATC selections. It’s such a good indicator of intent that I may even go through the Indian AIP myself ! Ever wondered why Putin would MH370 out of all the planes that are flying around? Perhaps he wanted to send a message to Obama after the sanctions. Correction to my last “AFTER turn had commenced not before.” Should just read after turn had commenced. It was squawking 1200 at points RMP1 & 2 as well. Go to the Movable-Type Scripts online Vincent calculator, scroll down to the Direct Solution box, enter 07 01 25N, 94 36 08E as the start point, bearing 186 48 25.66, distance 5305132.87 metres, and see where it goes to. 0.0012 arc sec is inch at S40.50! S40.50, E88.00 is 173NM downrange of fuel exhaustion UTC 00:17:30. The track passes within 5NM of the Bayesian hotspot bullseye. But how did he get to our start point at N07 01 25, E94 36 08? Well, he left the N571 12NM right offset at 18:29 and flew directly toward ANOKO. 20 NM before reaching ANOKO, he redirected his aircraft to S40.50, E88.00 manual waypoint. Flying at M0.84, at FL350, he reach the turning point at 18:35.67, the 7.5NM radius turn took about 1.4 minutes, turning through 81.5deg to align with the manual waypoint. As soon as the turn got under way, he began a slowdown to M0.67, to increase his endurance time by a few minutes to make sure he didn’t flameout before sunrise. 23 minutes later, he increased speed to M0.82 and climbed to FL390 for the journey south, touching the 19:41 arc at S01 02 00, E93 39 00. This was a procedure he had practiced on the simulator on 2nd Feb.
After all this time, we find it was remarkably simple how he did it on the night. All he did was wait till he was within 20NM of ANOKO, then turn south toward manual waypoint South 40.50 degrees, East 88 degrees (two coordinates that would take only a moment to enter into the FMC) and then keep going until the fuel ran out. No other waypoints would be implicated. No one would ever be able to work out where he went. The drift studies are now shown for what they are. Pure fiction! Fabricated in order to get the ATSB off the hook. The ATSB weren’t allowed for one moment to assume that the Captain had deliberate ly set out to evade detection from start to finish. So he wasn’t found in the area they searched around S38. There can now be only one explanation for that failure; he glided as far as he could after the fuel ran out, taking an evil delight in his undoubted flying skills. From 38,000ft o can glide a long way. And if you know how long it takes for the SDU to reboot, which I think our pilot probably did, then you can time a short steep descent to coincide with the logon to mimic a plane descending out of control. That I think was his intention, and he succeeded! The pilot wouldn’t know how much fuel would be left for the APU after the main engines flamed out, so to make sure the SDU rebooted when he wanted it to, he simply isolated the LH AC bus for a moment to interrupt power to the SDU. Chasing down BFO errors for the journey south is now seen to be a completely pointless task. I would agree with you that almost all serious path model efforts to date have assumed either: (1) Unintended ghost flight, or in a few cases (2) Intentional ghost flight with passive pilot (after path was set). The third idea of (3) intentional flight has been skipped, in part because a decision was made to simplify the problem to assume minimum flight maneuvers. I would say Option 1 has failed (ATSB search), Option 2 boils down to McMurdo path and that may be searched if the search is re-started, and Option 3 might explain other end points on Arc7 (eg; 20-35S ), if the search is resumed. The good news is that Blaine Gibson should feel safer exploring the beaches of WA compared to Madagascar/Africa. I think it highly unlikely he’ll receive any death threats here. I wonder if this positive statement from ‘Perth Now’, could be a hint that a deal between Ocean Infinity and the Malayan government has been agreed? Thought Blain Gibson had retired from his MH370 projext? I agree that further death treats against Gibson are unlikely and predict he, or one of his disciples, will find some wreakage somewhere along the SW Aus coast. It would seem that the ‘MH370 crashed in the SIO’ meme needs to be preserved at all costs. @Boris Tabaksplatt, I’d take everything in this article with a grain of salt. 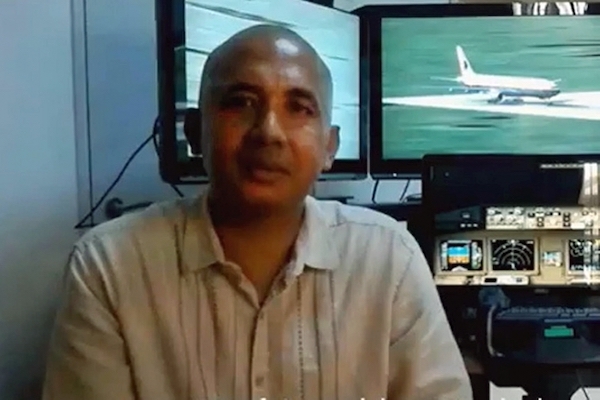 Yes, the MH370 script does seem to be going off the rails once again. How people fail to see through this constant media smoke-screen and the bizarre contradictory information provided by supposedly authoritative sources is beyond belief.